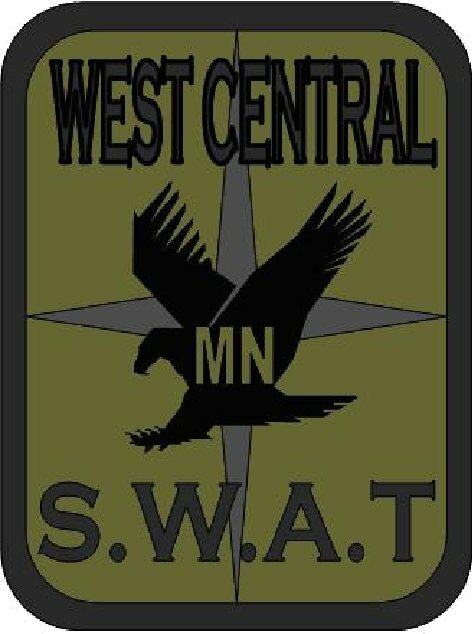 West Central SWAT is comprised of five county sheriff’s offices and eight police departments including Stevens, Pope, Swift, Traverse, and Big Stone counties along with the Glenwood, Starbuck, Morris, University of MN Morris, Benson, Appleton, and Wheaton police departments. The team is divided into four sections: entry, sniper, negotiator, and medical support. The team also includes one physician/surgeon experienced who serves as medical adviser. The team trains on a monthly basis and is fluent in chemical munitions, less lethal, entry tactics, negotiations, firearms, along with many other high risk tactics. The Stevens County Sheriff’s Posse was formulated in 2006 and is used to assist the Sheriff’s Office with specific tasks including aiding deputies during street dances or local festivals, search and rescue, crime scene management, and many other duties. Members are trained in radio procedures, defensive tactics, and other patrol skills. 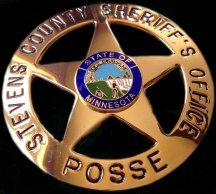 Posse members are community members who possess an interest in serving their neighbors and perform their duties at virtually no cost to Stevens County. All hours worked are on a volunteer basis or are compensated through payment by event organizers. K-9 Odin is a German Shepard who was born in August of 2016 in Slovakia and joined our Sheriff’s Office in December of 2017. 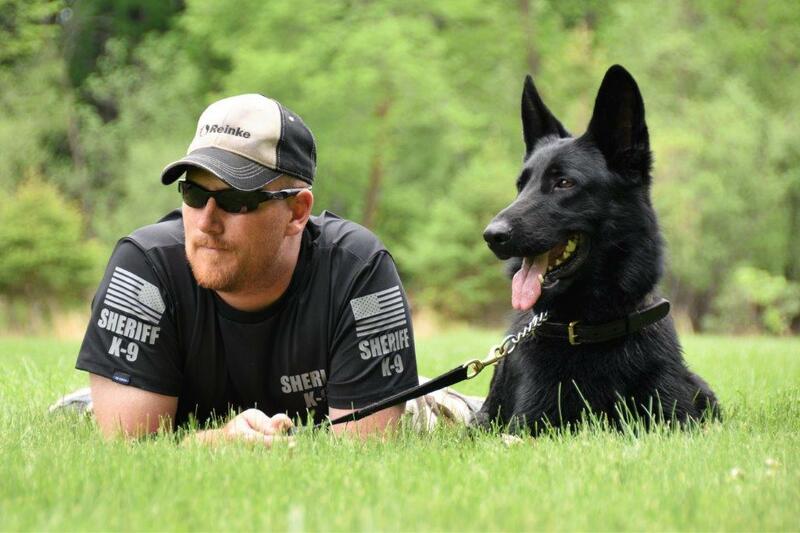 K-9 Odin and his handler, Deputy Ron Hensinger, attended a 14-week K-9 school through Performance Kennels in Blaine, Minnesota, where they were taught the skills needed to be a successful K-9 team. K-9 Odin is certified each year in narcotics detection through the United States Police Canine Association and certified in Patrol through the National Police Canine Association. 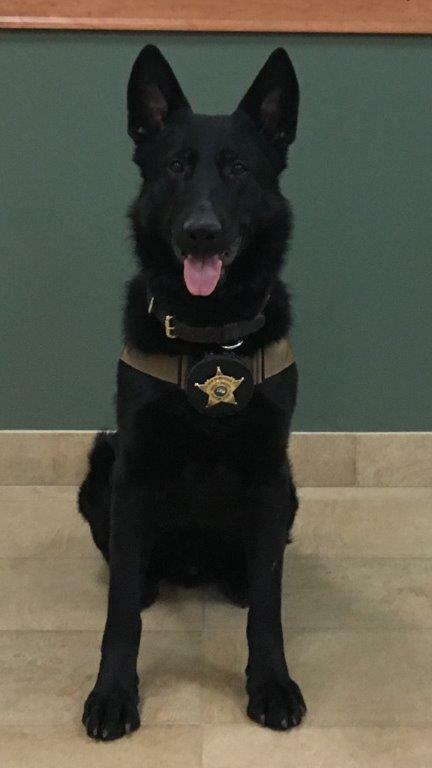 K-9 Odin has been very successful since joining our Sheriff’s Office in helping us locate illegal narcotics, tracking and finding suspects, visiting with elementary students, and teaching the general public about his abilities. K-9 Odin also assists with many other tasks around the Sheriff’s Office. For questions about the K-9 unit or requests for demonstrations, contact the Stevens County Sheriff’s Office at (320) 208-6500. TRACKING – K-9’s use their heightened sense of smell, hearing, and physical agility to detect and locate fleeing criminals and/or missing children or adults. The combination of scent the individual is leaving behind and other factors such as detecting disturbed ground the individual has stepped on, help K-9’s quickly locate suspects or those in distress. CRIMINAL APPREHENSION – In some circumstances a violent person or fleeing felon may refuse to surrender to law enforcement. K-9’s are trained to assist their handlers and supporting law enforcement officers by apprehending the suspect in an effort to stop any further fleeing. The K-9 unit is also able to search businesses, residences, or other building to locate suspects who may be hiding to evade arrest. ARTICLE SEARCHES - Because of their sense of smell, suspects who during flight, sometimes discard key items of evidentiary value. Items retain human odor for some time and the K-9 is able to locate these items. HANDLER PROTECTION – Because of the close bond between the handler and dog, the K-9 is able to help the handler when in trouble by apprehending the offender and rendering them submissive to law enforcement. DRUG SEARCHES – K-9’s are able to detect the odor of illegal narcotics. When used during a search of a building, vehicle, or open area the dog indicates on the odor, giving law enforcement probable cause to conduct a search. K-9’s are an important part in the fight against illegal drugs in Stevens County. K-9 “Rico” was born in the spring of 2005 in Slovokia. K-9 Rico and his handler, Deputy Graham Holtberg, started the K-9 program in 2007. 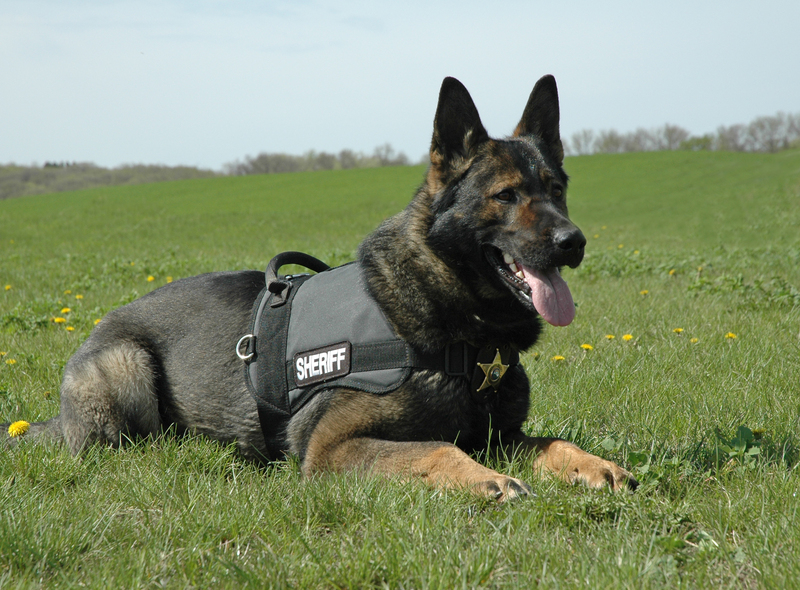 Rico served with the Stevens County Sheriff’s Office until 2015 when he was retired. K-9 Rico now lives with his handler and enjoys his retirement.